On Tuesday, the domestic unit appreciated by 10 paise to end at 68.86 following a robust response to RBI's maiden rupee-dollar swap auction. 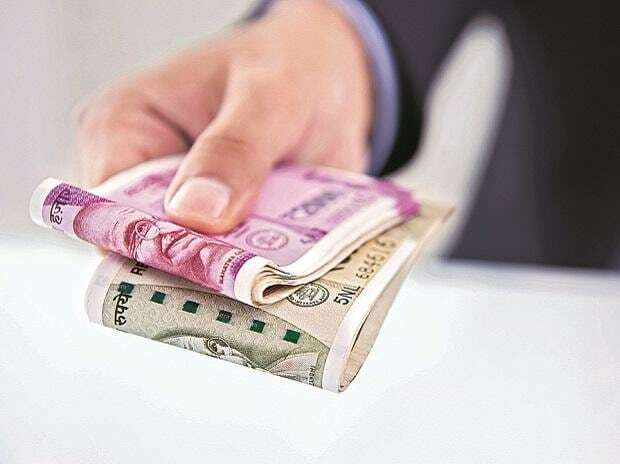 The rupee opened 13 paise lower at 68.99 against the US dollar on Wednesday amid mixed global cues. On Tuesday, the domestic unit appreciated by 10 paise to end at 68.86 following a robust response to RBI's maiden rupee-dollar swap auction. Sustained foreign fund inflows and heavy buying in domestic equities also propped up the local unit, forex traders said. The RBI infused Rs 34,561 crore into the banking system in exchange for dollars, in its first dollar-rupee swap auction. Through the auction, RBI bought dollars totalling $5.02 billion at a premium of Rs 7.76, which works out to an annualized rate of 3.76 per cent from authorized dealers and paid them rupees in return. "Today, USD/INR pair is expected to quote in the range of 69.05 and 69.50," says Gaurang Somaiya, Research Analyst (Currency) at Motilal Oswal Financial Services. Nirmal Bang Securities in its daily currency report says, " On the daily chart, the USD/INR pair has marked a bearish candle with long lower shadow indicating support at lower levels. It is currently trading below all its important moving averages." On the global front, Asian shares slipped on Wednesday, as investors tried to come to terms with a sharp shift in US bond markets and the implications for the world’s top economy, Reuters reported. In the commodity market, Brent crude oil futures rose 0.2 per cent to $68.12 per barrel while US crude futures edged up 0.1 percent to $60.01. Back home, the domestic equity market opened on a positive note with Nifty Bank opening at a record high. At 09:37 am, the S&P BSE Sensex was trading at 38,373, up 140 points or 0.37 per cent while NSE's Nifty50 index was trading 42 points or 0.37 per cent to end at 11,526.